FANTASTIC NEWSFLASH! 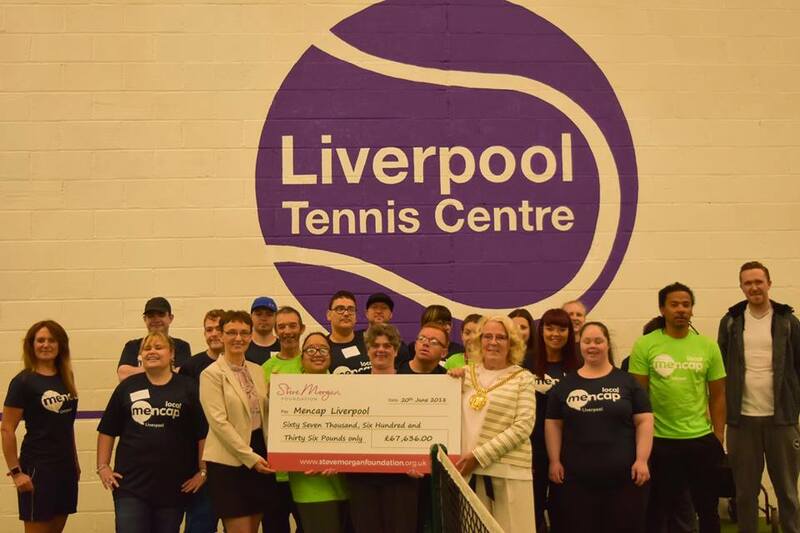 Mencap Liverpool have received 3 year’s funding from the Steve Morgan Foundation to cover the salary of our Transformation Project Co-ordinator Charlotte. 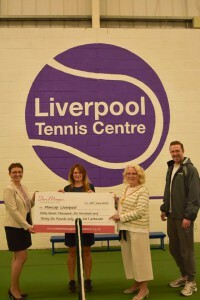 The funding will mean that we can continue to run all our current fitness activities and add a few money. We’ll also be adding in workshops to help members learn about preparing tasty healthy meals on a budget. As well as physical health, we’ll be doing more to help members improve their mental health, with mindfulness, confidence building and some 1 to 1 support. 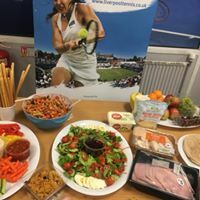 We launched our new Transformation project at Liverpool Tennis Centre, where we host our Wednesday morning tennis sessions and we had some special guests joining us. 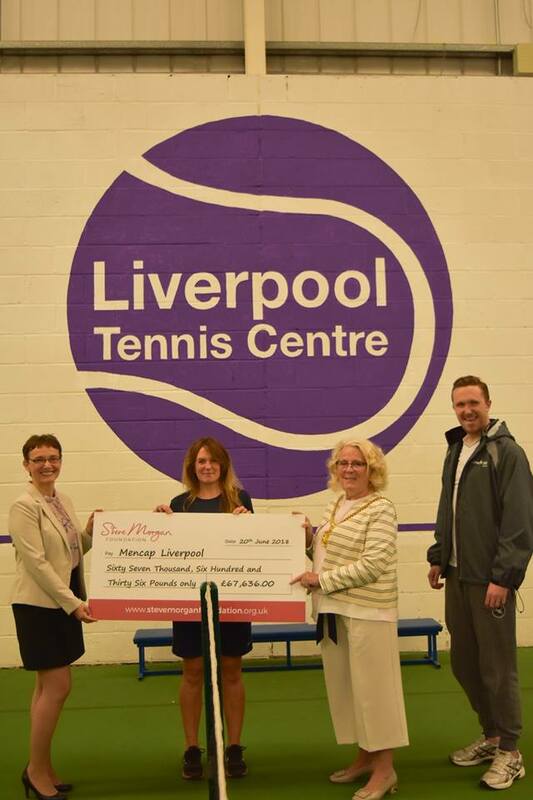 The Lord Mayor of Liverpool Cllr Christine Banks came to help Gosia McKane from the Steve Morgan Foundation hand over our big cheque. Medicash have kindly contributed to our project costs this year and so Danny Hill came down to see what we were doing and join in with the activities.